WAECDIRECT 2019/2020 ONLINE – RESULT CHECKER, Portal for checking 2019/2020 waec result online for free, how to check 2019/2020 WAEC January/February result on android phone without scratch card. Enter the Card Serial Number found on the reverse side of your Scratch card. Enter the Personal Identification Number (PIN) on your Scratch card Click Submit and wait for the results window to come up. What is a WAEC PIN?What is a WAEC Scratch card?Where can I buy a WAEC Scratch card?How many times can I check my WAEC results?Can I use one WAEC Scratch card to check more than one result? What do we understand by WAEC PIN? The PIN means Personal Identification Number. In WAECDIRECT, it is a unique 10-digit or 12-digit number that is required to access the service. The service enables direct access to a candidate’s results via multiple channels. The PIN is found on a orginal WAECDIRECT Scratch card and you can see it when cover patch on the reverse side of the card is carefully scratched off. 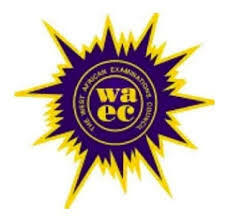 What is a WAEC Scratch card? WAEC Scratch card is a plastic card with a scratch patch on the reverse side that covers a PIN required to check the WAECDIRECT service. The Scratch card applicable for the WAECDIRECT service is marked “WAECDIRECT ……Access Card”on the face. Where can I buy a WAEC Scratch card? A Scratch card may be purchased at the National Office of WAEC and at any of its zonal and branchoffices across Nigeria. It may also be bought from any of the branch offices of Fountain Trust Bank Plc across Nigeria. From time to time it may become available at any other outlets so designated by WAEC. Please click here to go to the outlets page. The reviewed price for the Scratch card is about N500, but this year 2017 it can remain the same or it can change. How many times can I check my WAEC results? As of the time of this post, You can check your waec results up to a maximum of 5 (five) times with the use of 1 (one) Scratch card. In order to check further after exhausting the allowed 5 (five) times you will need to purchase another Scratch card which will entitle you to another 5 (five) result checks. Can I use one WAEC Scratch card to check more than one result? The answer is No! You may only use one Scratch card to check one result. To check another result of interest, you will require a new Scratch card. If you misuse a Scratch card by attempting to check another result different from the first one checked, you will be penalised as having used the card, and will be presented with the appropriate error message. In what other ways can I check my WAEC results? You have 2 options on ways you can access your results. Your WAEC results displays to you on a webpage on the WAEC DIRECT website, you may also have your results delivered to an email address of your choice by selecting the appropriate options on the WAECDIRECT homepage. You may also have your results read out to you by calling into any one of WAEC regional Interactive Voice Response (IVR) systems or have it delivered to your GSM mobile phone via SMS. In addition to this, WAEC has also been promoting the ideals of hard-work and honesty in the youth through its awards for outstanding performance in its examinations. 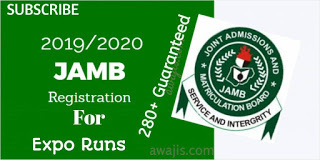 The Council conducts several international and national examinations in all member countries except Nigeria where it has shed all but one of it’s examinations, The West African Senior School Certificate Examination (WASSCE) for school candidates in May/June and private candidates in November/December.  0 Response to "WAEC DIRECT.ORG 2019/2020 ONLINE – RESULT CHECKER"